During the training, groups of volunteers were assigned lengths of brook to survey. Further coordination of survey dates and reaches was conducted by the volunteer group on a closed Facebook group set up specifically for the Outfall Safari. Groups of volunteers were free to conduct the survey of their reach when convenient to them, within the survey period, provided there had been no rain for 48 hours prior to survey. A period of 48 hours of no rain is required before any survey work as rainfall and high surface water flows can obscure the negative impacts of outfalls by washing away sewage fungus, discoloured sediments and rag. In addition, many Severn Trent Water outfalls should only convey rain water. Therefore, any flow in dry weather conditions, no matter how small, was of concern to STW. The survey work was conducted from the riverside path or banks. The risk assessment for riverside outfall surveying highlighted that volunteers should not enter the river channel to undertake the survey. In addition to personal protective equipment (PPE) volunteers took a printed handout, designed to help with ranking the impacts of each outfall, a smart phone or tablet loaded with a specially created data entry App and printed maps showing known surface water outfalls and Combined Sewage Overflows. 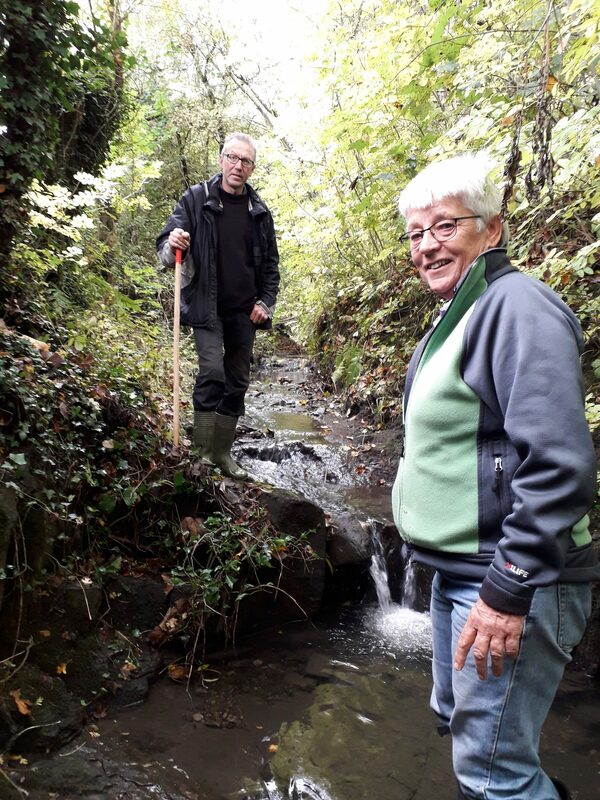 The volunteers photographed, located and assessed a total of 101 outfalls. Of this total 28 showed some signs of pollution and scored ˃ 0 and of these 7 were significantly polluting with a score ≥ 6. In total there are 58 km of river in the Alfreton Brook and Oakerthorpe Brook Catchments. This Outfall Safari surveyed 22km or 38% of this length comprising the urban sections and those impacted by urban areas. 27 of the 101 outfalls were recorded as having a detrimental impact. 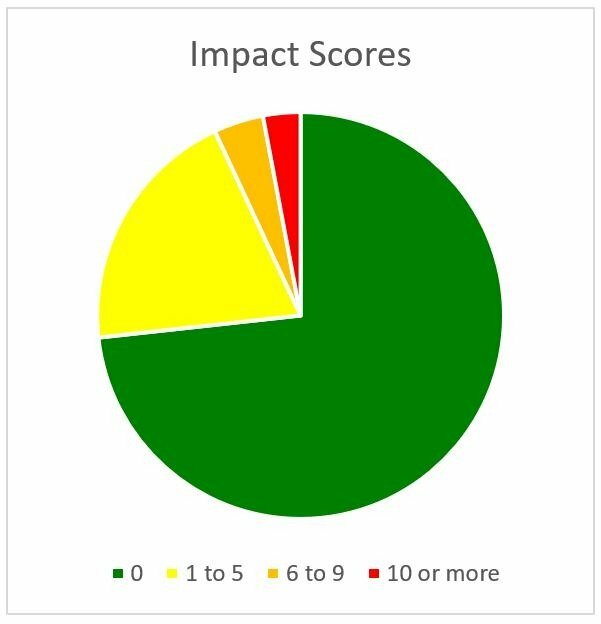 20 were recorded with impact scores of 2-4, 4 with scores of 6-9 (34,39,55,91) and 3 with scores of ≥ 10 (30, 59 and 96). These were reported to STW, followed up and feedback given. All volunteers enjoyed the experience and felt the training was good. The handout was found to be useful, and ‘contributing to an important project’ was motivating. Needing to have 48 hours without rain meant that volunteers had to rearrange and be very flexible. The Outfall Safari would not suit volunteers who prefer a regular activity, but attracted people who did not want a regular commitment and preferred a ‘task anad finish’ project. Facebook did not suit everyone, and Whatsapp is worth considering in future. Help with map reading would have been useful for some volunteers, and integrating STW maps showing outfalls with OS maps wold be helpful. A ‘covering letter’ for volunteers to explain to people what they were doing was suggested. A final ‘mop-up’ of outfalls on private land with the Environment Agency would be helpful in completing the dataset. There were difficulties in seeing the brooks through vegetation, despite the safari taking place in October to December. Spring may be the optimum time. Feedback from the volunteers about the app was that it was mostly easy to use, but there were some issues with uploading data and photos. Some found that the GPS positional accuracy improved if the position was taken twice. The volunteers also requested a third option for bankside, as many outfalls were emerging from underground, rather than left or right banks, and it was also suggested that discolouration and odour are separated in the questions. In hindsight it wold have been better for all photos to be landscape.